The incoming class of quarterbacks to the Pac-12 could be one of its best. So, let's look at its competition. On paper and in the stars, the Pac-12’s incoming class of quarterbacks is a whopper. Of the top-50 prospects in 247sports.com’s composite rankings, 11 are headed to Pac-12 campuses. Based on the star rating system and analyst accolades, it’s one of the greatest incoming classes in conference history. All that’s left is the actual quarterbacking. To join the pantheon of great quarterback classes in the conference of quarterbacks, the 2018 group must produce more than one elite player. More than three, in fact. 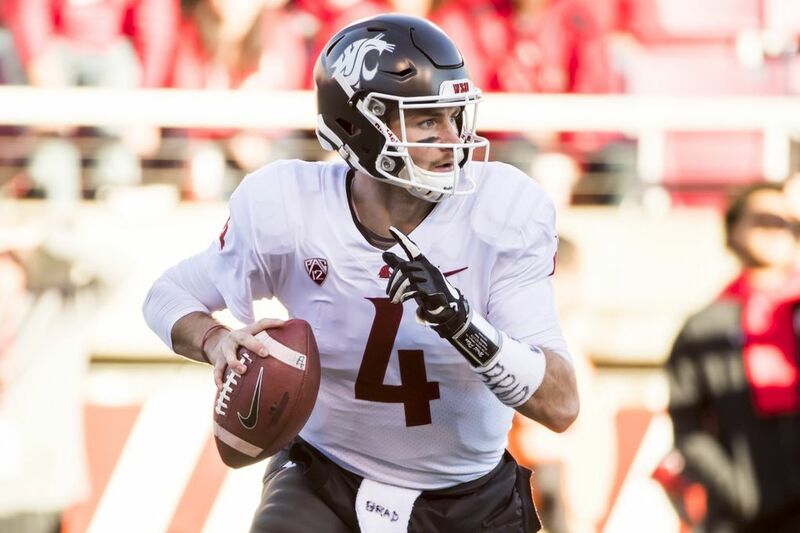 The Hotline crosschecked years of recruiting databases with collegiate resumes to determine the top-10 Pac-12 quarterback classes of the century. The list below is based on both quantity and quality. It wasn’t enough to produce one elite quarterback, as was the case with the class of 2007 (Nick Foles), or to produce a handful of solid starters. To register for the list below, the incoming class had to produce both elite players and solid starters. Didn’t make the cut: Incoming classes of ’00, ’04, ’06 (Jake Locker), ’07, ’12, ’14. Note I: The 2016 and 2017 classes were not included because of lack of tangible accomplishments thus far. But the former (Khalil Tate, Justin Herbert, Tyler Huntley and K.J. Costello) has the potential to become a stellar group. Note II: I limited the rankings to high school players; transfers into the conference were not considered (i.e., the ’03 class does not include Aaron Rodgers). The names listed for each class are those that attained a high level of play for at least one full season. Comment: Would be higher but for the lack of depth. Brink earned all-conference honors twice, while Dixon was one of the most dynamic QBs the conference has produced in decades: If not for a knee injury late in the 2007 season, he might very well have won the Heisman. The names: Washington’s Isaiah Stanback, UCLA’s Drew Olson and UCLA/Oregon State’s Matt Moore. Comment: Stanback converted to quarterback during his career and was one of the best of the first wave of the conference’s dual-threat QBs. Olson earned second-team all-conference honors and was a finalist for the Unitas Award, while Moore, who transferred to Corvallis, was an honorable-mention pick as a senior. The names: USC’s Matt Barkley, Washington State’s Jeff Tuel and Washington’s Keith Price. Comment: Barkley was a rare four-year starter at USC and set numerous conference passing records. 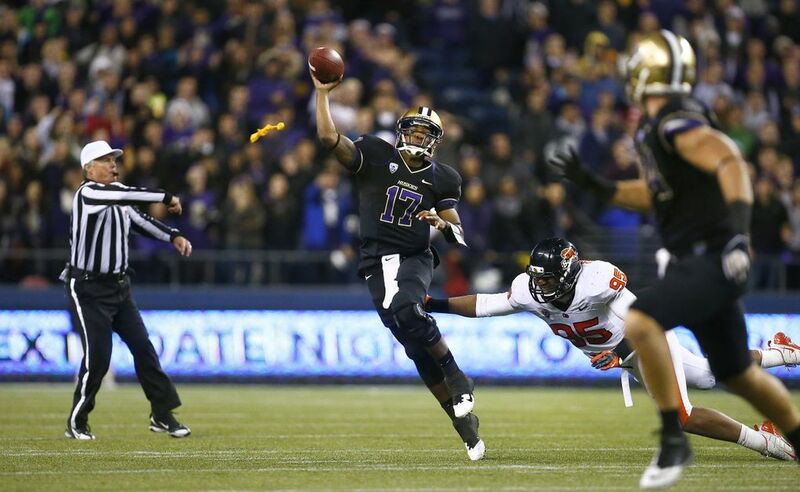 Price was a three-year starter for UW (75 touchdowns), while Tuel reached all-conference level as a sophomore. Comment: A sneaky-good group: Mannion threw for more than 13,000 yards — he broke Barkley’s conference record in the process — while Kelly was an all-conference player and Halliday twice earned honorable-mention honors. The names: USC’s Mark Sanchez, Arizona’s Willie Tuitama and Oregon State’s Sean Canfield. Comment: Sanchez started just one season (2008) but was named first-team all-conference. Tuitama was the second-team selection that year. Canfield, meanwhile, was the first-team pick in 2009. The names: Washington’s Jake Browning, USC’s Sam Darnold and UCLA’s Josh Rosen. Comment: These three are the foundation — Darnold and Rosen are candidates for the No. 1 pick in the draft — but the class of ’15 has potential to leave a greater legacy if the likes of Colorado’s Steven Montez and Cal’s Ross Bowers raise their games in coming seasons. 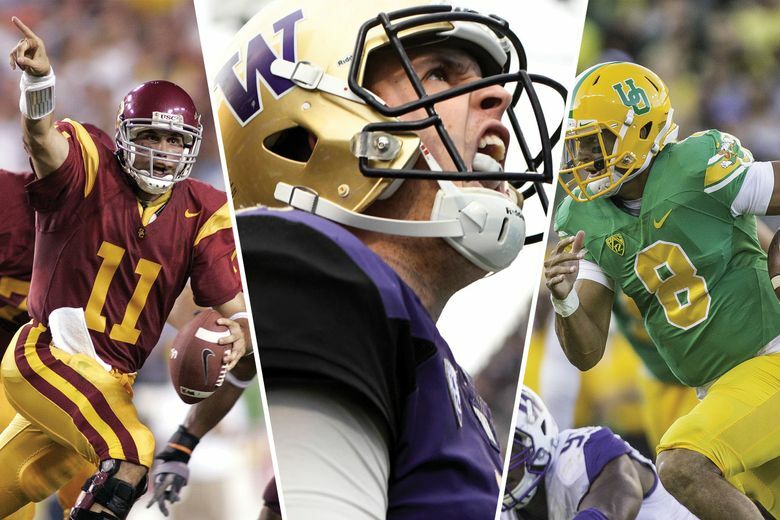 The names: USC’s Matt Leinart, Oregon’s Kellen Clemens and Oregon State’s Derek Anderson. Comment: Leinart is the headliner with his Heisman trophy and national titles. But Anderson was a three-year starter who amassed more than 10,000 yards, while Clemens threw 61 touchdown passes in three years for the Ducks. The names: Stanford’s Andrew Luck, Oregon’s Darron Thomas and Arizona’s Matt Scott. Comment: Luck is one of the most acclaimed quarterbacks to roll through the Pac-12 this century. But let’s not forget that Thomas won two conference titles, led the Ducks to the national championship and finished with 66 TDs passes. Like Thomas, Scott rose to an all-conference level during his career. The names: Arizona’s Anu Solomon, Cal’s Jared Goff, Colorado’s Sefo Liufau, Washington/Utah’s Troy Williams and Washington State’s Luke Falk. Comment: Five starters from one class, each attaining a high level of play for at least one season. Williams won nine games for Utah as a junior, Solomon and Liufau won South division titles, Goff was an all-conference pick, and Falk re-wrote the conference record book. The names: Arizona State’s Mike Bercovici, USC’s Cody Kessler, UCLA’s Brett Hundley, Stanford’s Kevin Hogan and Oregon’s Marcus Mariota. Comment: If if were merely an ASU record setter, three-year starters at USC and UCLA — Hundley was an all-conference pick, while Kessler received honorable-mention honors three times — and the winningest quarterback in Stanford history (three conference titles), the class of ’11 would qualify as one of the best of the century. But add a Heisman winner and, well, here’s the bar for the class of ’18. Best of luck with that.